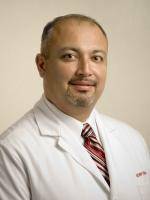 Dr. Benny Peña is a graduate of Schreiner University and the University of Houston College of Optometry. Dr. Peña and his family have lived in Kerrville since 1997. Dr. Peña was born and raised in Brownsville, Texas. After high school Dr. Peña enlisted in the United States Marine Corps and is a decorated veteran of Operation Desert Shield/Desert Storm. This is when he first became interested in optometry. Upon leaving the Marine Corps, he managed a retail optical in Bryan, Texas, and played bass guitar with the Roger Creager Band. Dr. Benny Peña is the chief optometrist at Texas State Optical in Fredericksburg and also sees patients at TSO Kerrville.